A coyote poses for me in the forest. 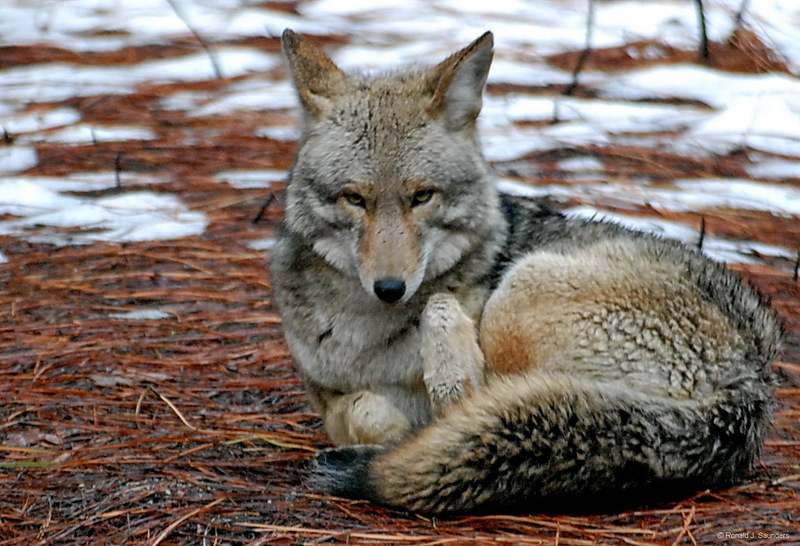 After passing by, the coyote lays down to watch me photograph. He is not as near as he seems as this was take with a stabilized 400mm lens on a Nikon D300. Photo © copyright by Ronald J. Saunders.